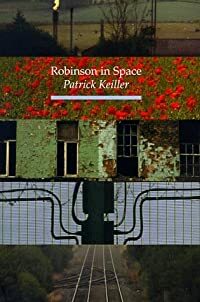 Robinson in Space is a visual, satirical record of a journey made by a fictional character called Robinson, narrated by his traveling companion and researcher, through the increasingly unknown space of present-day England. Robinson quotes Oscar Wilde: "It is only shallow people who do not judge by appearances. The true mystery of the world is the visible not the invisible. 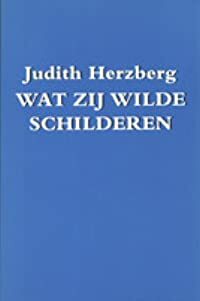 . ." His assumptions about economic failure, especially in manufacturing industry, are gradually challenged by the discovery of an industrial economy that employs few people but still generates most of the wealth of the fifth-largest economy in the world. Robinson in Space incorporates material from the award-winning film of the same name that was released just before the British 1997 General Election. The book juxtaposes the narrative and over 200 intriguing, strange-yet-familiar images from the film to take the reader on a fascinating journey through the landscapes of present-day England. Regional transformation has emerged as a major topic of research during the past few decades, much of it seeking to understand how a region changes into a zone of conflict or cooperation and how and why some regions remain in perpetual conflict. Although the leading theoretical paradigms of international relations have something to say about regional order, a comprehensive treatment of this subject is missing from the literature. This book suggests that cross-paradigmatic engagement on regional orders can be valuable if it can generate theoretically innovative, testable propositions and policy-relevant ideas. 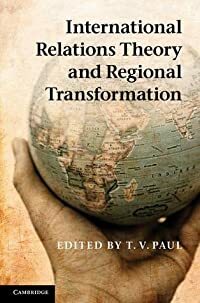 The book brings together scholars from the dominant IR perspectives aiming to explain the regional order issue through multidimensional and multi-causal pathways and seeking meeting points between them. Using insights from IR theory, the contributors offer policy-relevant ideas which may benefit conflict-ridden regions of the world. 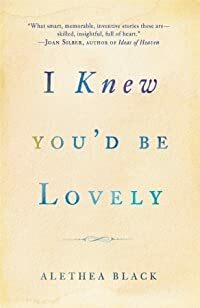 One day she is Linda Farley, a senior in a San Diego high school, with a talent for art, an annoying younger brother, two loving parents, and a prospective boyfriend. Three days later, she is Lainie Foster, hiding with her mother and brother in Olympia, Washington. That's how fast things change after Linda's mother tells her that her father has been caught by the feds in a Mafia money laundering scheme and that the rest of the family has been placed in the Witness Protection Program. By the rules she's given, she must stay out of school, cut off contact with anyone back home, and never tell anyone what has happened. Linda -- now Lainie -- does her best, but in navigating her new life, she faces a number of questions. How could her father do something so contrary to her image of him? Why is her mother so familiar with their new city? How can she pursue a career in art without going to school? What must she do to save her brother from the worst effects of the upheaval? And who is that dark-haired woman she keeps spotting in front of the house? Then there's the biggest question of all: Is she Linda or is she Lainie? Because, in the end, is the choice really anyone's but hers? ///////////////////////////////////////////////// Anne L. Watson, a retired historic preservation architecture consultant, is the author of numerous novels, plus books on such diverse subjects as soapmaking and baking with cookie molds. She currently lives in Friday Harbor, Washington, in the San Juan Islands, with her husband and fellow author, Aaron Shepard. ///////////////////////////////////////////////// SAMPLE "Lainie," Mom said, her voice a little gentler, "we have to follow the rules, whether we like them or not." "The rules are nuts, Mom," I protested. "Like making us keep our old initials. So the Mafia is too stupid to check the passenger lists for trains and planes leaving Southern California? You think they won't look for two A.
F.'s and an L.F. with one-way tickets to the same place?" Mom moved to the right to let a tailgating Jeep speed ahead. "That's one reason we're splitting up," she said. "WITSEC has never lost anyone who followed the rules," she said. "WITSEC?" I yelped. "Who the hell is that?" "The Witness Security Program. That's its other name." Sheesh. WITSEC. Like the FBI was such a buddy, we needed to give them a nickname. My face itched, and I rubbed it hard. "Don't do that," Mom said. "You'll rub off your makeup." "It feels like dirt. I don't know how you put up with it." "You get used to it. Especially when you have more important things to worry about." Well, we had that, in spades. I'd just dumped someone I really wanted to go out with. I wouldn't be going to art school next year, because that's what Linda Farley would have done. I had to be someone else, probably forever. Compared to that, grease all over my face really was a detail. I gave up and quit talking about it. Whining wasn't going to do any good. Mom kept quiet too, watching the traffic. In the front seat, Alan sang some dumb song from a TV kids' show, over and over. But, as Mom had said, I had more important things to worry about. We took the Alameda Street exit and pulled into the train station. "What are you going to do with the car when you get to the airport?" I asked. "Leave it in a parking lot with the window down and the keys in the ignition." Even the Mafia wouldn't have a chance if she did that. The locals would have that car in a chop shop faster than the Godfather could blink.